Enjoy an array of exciting rides, from the family-friendly Speedy Mouse, to the adrenaline-pumped Haunted Mansion and Tornado! 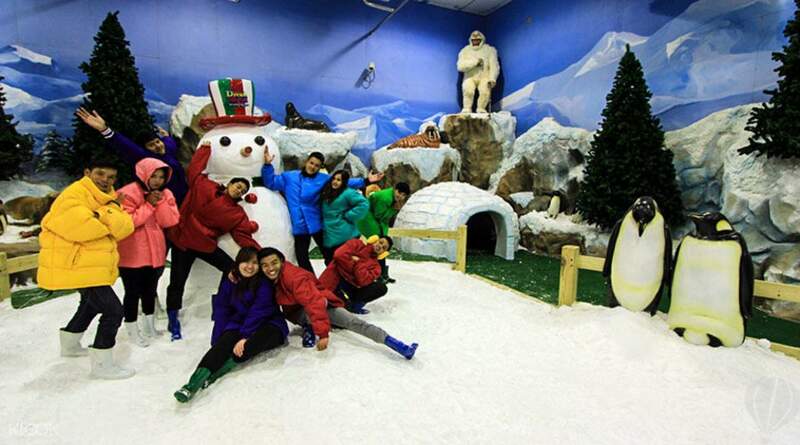 Discover a world of snow and ice at Snow Town, and go for a sledge ride in -8°C temperature! Eat at one of the park's many food outlets, and make sure to stop by the souvenir shop for some stylish memorabilia! Explore major attractions near Bangkok with these private transfers from the city! 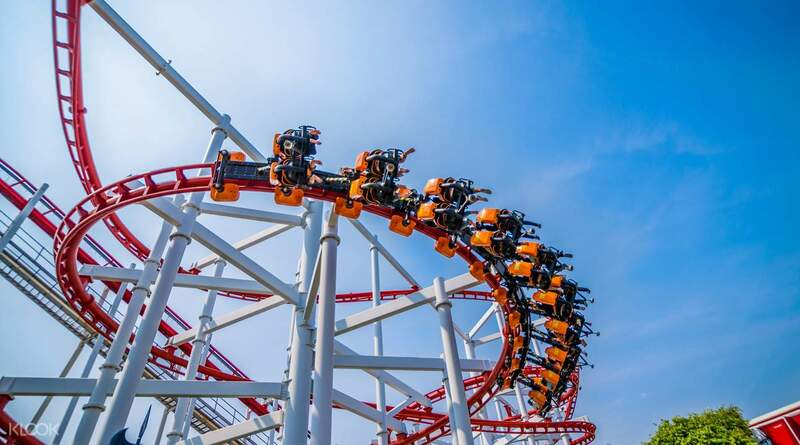 Meet Cinderella and other favorite fairytale characters, see world landmarks like the Eiffel Tower, frolic around in snow and even take a trip down white water rapids: all this and more await at Dream World, also known as Thailand's very own Disneyland! 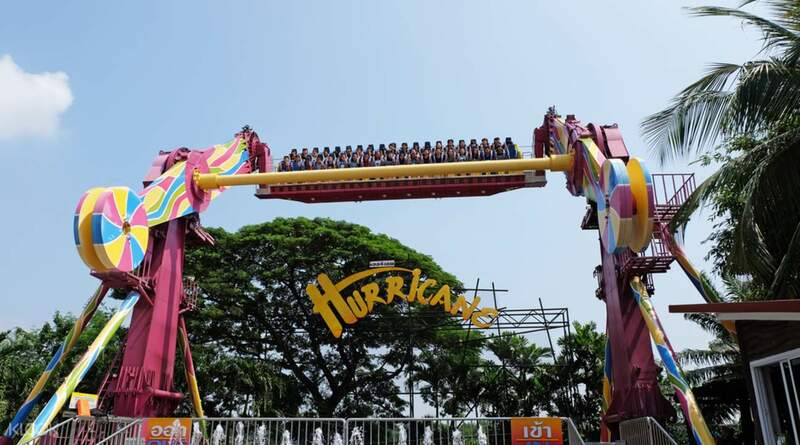 Go on classic fairground rides like bumper cars, then try out novel attractions like the hair-raising Sky Coaster rollercoaster. Along with a variety of shows, such as the Hollywood Action show – daredevil stunts and mindblowing special effects, anyone? – as well as spectacular sites, like Snow Town in the middle of the park, Dream World promises a fun-filled day for all – from kids to kids at heart! Discover the wintery world of Snow Town and even go for a sledge ride! Dream World was like Enchanted Kingdom in Philippines, most of their rides have similar ambiance😅. It was a bit far from Don Muang Airport. Good thing you can leave your luggage on their tourist information to secure your bags. The place itself was just okay. Weather that time was too hot. But we have a smooth transaction on availing our tickets, Thanks to klook. Dream World was like Enchanted Kingdom in Philippines, most of their rides have similar ambiance😅. It was a bit far from Don Muang Airport. Good thing you can leave your luggage on their tourist information to secure your bags. The place itself was just okay. Weather that time was too hot. But we have a smooth transaction on availing our tickets, Thanks to klook. This is really awesome theme park to go with your little kids. I went there on 18th March Monday sharp at 10.00am and it help me to cover all events with out be in long queues. Tickets booked via klook app which is amazingly gave me a package (ticket + lunch + snow town) for Baht 950 which was at the counter Baht 1280. I just simply used my NSB debit MasterCard to pay and saved Baht 1650 just on the same day morning in front of the dream world ticket counter. I used Grab cab to reach there plus return and recommend to select Grab car option which has fixed fare rather than Grab taxi which driver may be fooled you by taking longer route to have big meter fare. You may take extra clothes if you willing to go to water fun area (needs additional payment) and water splash. You can choose buffet type among from Indian food and international food. It is better to start with cable car and mini train to get some idea of the theme park. There are good decent short-eats food stalls and well maintained wash room every where makes us feel better with our kids. Finally I should say that I have wonderful time and joyful day with my loved ones at dream world. This is really awesome theme park to go with your little kids. I went there on 18th March Monday sharp at 10.00am and it help me to cover all events with out be in long queues. Tickets booked via klook app which is amazingly gave me a package (ticket + lunch + snow town) for Baht 950 which was at the counter Baht 1280. I just simply used my NSB debit MasterCard to pay and saved Baht 1650 just on the same day morning in front of the dream world ticket counter. I used Grab cab to reach there plus return and recommend to select Grab car option which has fixed fare rather than Grab taxi which driver may be fooled you by taking longer route to have big meter fare. You may take extra clothes if you willing to go to water fun area (needs additional payment) and water splash. You can choose buffet type among from Indian food and international food. It is better to start with cable car and mini train to get some idea of the theme park. There are good decent short-eats food stalls and well maintained wash room every where makes us feel better with our kids. Finally I should say that I have wonderful time and joyful day with my loved ones at dream world. great place to go!! yes away from town but that is the only place to go if u bringing ur kids cuz bkk is all abt shopping. everything was smooth!! recommended for MUSLIM travellers cus there is a prayer room but only thing no Halal food.. great place to go!! yes away from town but that is the only place to go if u bringing ur kids cuz bkk is all abt shopping. everything was smooth!! recommended for MUSLIM travellers cus there is a prayer room but only thing no Halal food..
fantastikk.. experiance and its many rides is superbb. food was ok and this palace for much more fun. i am happy to visit. haricane and tornado is awasome. any 4d movie, swimming, horror house , sky train is so cool. i recommended to all people plz visit and enjoy. fantastikk.. experiance and its many rides is superbb. food was ok and this palace for much more fun. i am happy to visit. haricane and tornado is awasome. any 4d movie, swimming, horror house , sky train is so cool. i recommended to all people plz visit and enjoy. Dream World may be an older theme park, everything appears well maintained, functional and safe. The entire atmosphere was lively with overly excited children screaming their lungs out and parents beaming widely, seemingly enjoying the activities with their children. Having said that, the park does attracts people of all ages and it's apparent that everyone there is having a great time, be it embarking in their many thrill rides or smothering the goats in the petting zoo or stuffing their faces with theme park finger food. 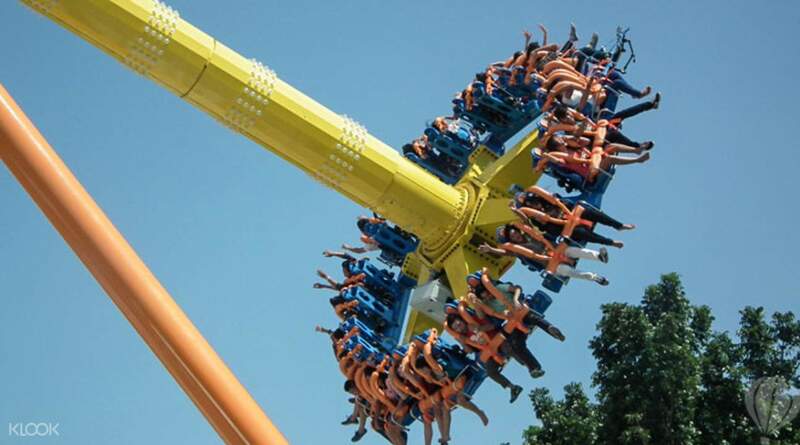 Dream World may be an older theme park, everything appears well maintained, functional and safe. The entire atmosphere was lively with overly excited children screaming their lungs out and parents beaming widely, seemingly enjoying the activities with their children. Having said that, the park does attracts people of all ages and it's apparent that everyone there is having a great time, be it embarking in their many thrill rides or smothering the goats in the petting zoo or stuffing their faces with theme park finger food. We always bought any entrance ticket to the original Show website to avoid any tricky / cheaters website. At last minute booking, we finally found Klook website and read ALL REVIEWS completely. . Then we thought, if Klook really wanna cheat, then they had to make a lot of good REVIEWS. Finally, we decided to try buying from Klook website with some hope that this website is not spam / scam / cheater website. . The first ticket we bought on 14 Dec 2018 was actually DREAM WORLD ticket (2 adults & 2 children) for 17 Dec 2018 show. . When we landed in Bangkok BKK and reached hotel on 15 Dec 2018, we also booked via Klook for Madame Tussaud Ticket (For 16 Dec 2018 show), which much cheaper than the counter ticket price. By booking via Klook, we can save a lot of money (Best is price in Rupiah, no more credit card's currency exchange fee) to buy souvenirs bring home . We also booked Line Village Ticket (for 16 Dec 2018 show), which was much cheaper than other website we found. We got the Klook special promotion of Pay 2 For 4 tickets of Line Village . When we reached Madame Tussaud on 16 Dec 2018, redeeming the Klook ticket is only 3-5 minutes with the counter officer. Strictly we got inside. Very easy and convenient. Children were very happy to take as many photos as they liked, as well as watching 4D Movie of Ice Age . Same way to Line Village at the opposite building. The children really enjoyed all theme rooms to take thousands of photos, but Klook allowed us to upload 6 photos only.. . The children really loved the VR Riding chair, Selfie Videos Machine and we had received the video sent by email from Line Village. Best place to spend 3-4 hours time - rest of the day after visiting Madame Tussaud, while waiting the sunset to AsiaTique by boat. We arranged the tour schedule by ourselves to visit the place we wanted only . The next day we went to Dream World with same procedure, 3-5 minutes redeeming the ticket, just simply showing the QR Code booking code. The little son could only ride few things due to height regulation, so he chose by himself the Train, Small Boat, and Cable Car rides - repeat again and again. While the elder son was more than happy to join all kind rides until it close at 17.00 . Now, we will use Klook as the show ticket reference. The price is much cheaper. We have proved it 3 times. Thank you! We always bought any entrance ticket to the original Show website to avoid any tricky / cheaters website. At last minute booking, we finally found Klook website and read ALL REVIEWS completely. . Then we thought, if Klook really wanna cheat, then they had to make a lot of good REVIEWS. Finally, we decided to try buying from Klook website with some hope that this website is not spam / scam / cheater website. . The first ticket we bought on 14 Dec 2018 was actually DREAM WORLD ticket (2 adults & 2 children) for 17 Dec 2018 show. . When we landed in Bangkok BKK and reached hotel on 15 Dec 2018, we also booked via Klook for Madame Tussaud Ticket (For 16 Dec 2018 show), which much cheaper than the counter ticket price. By booking via Klook, we can save a lot of money (Best is price in Rupiah, no more credit card's currency exchange fee) to buy souvenirs bring home . We also booked Line Village Ticket (for 16 Dec 2018 show), which was much cheaper than other website we found. We got the Klook special promotion of Pay 2 For 4 tickets of Line Village . When we reached Madame Tussaud on 16 Dec 2018, redeeming the Klook ticket is only 3-5 minutes with the counter officer. Strictly we got inside. Very easy and convenient. Children were very happy to take as many photos as they liked, as well as watching 4D Movie of Ice Age . Same way to Line Village at the opposite building. The children really enjoyed all theme rooms to take thousands of photos, but Klook allowed us to upload 6 photos only.. . The children really loved the VR Riding chair, Selfie Videos Machine and we had received the video sent by email from Line Village. Best place to spend 3-4 hours time - rest of the day after visiting Madame Tussaud, while waiting the sunset to AsiaTique by boat. We arranged the tour schedule by ourselves to visit the place we wanted only . The next day we went to Dream World with same procedure, 3-5 minutes redeeming the ticket, just simply showing the QR Code booking code. The little son could only ride few things due to height regulation, so he chose by himself the Train, Small Boat, and Cable Car rides - repeat again and again. While the elder son was more than happy to join all kind rides until it close at 17.00 . Now, we will use Klook as the show ticket reference. The price is much cheaper. We have proved it 3 times. Thank you!